An entry level kit you won't grow out of. 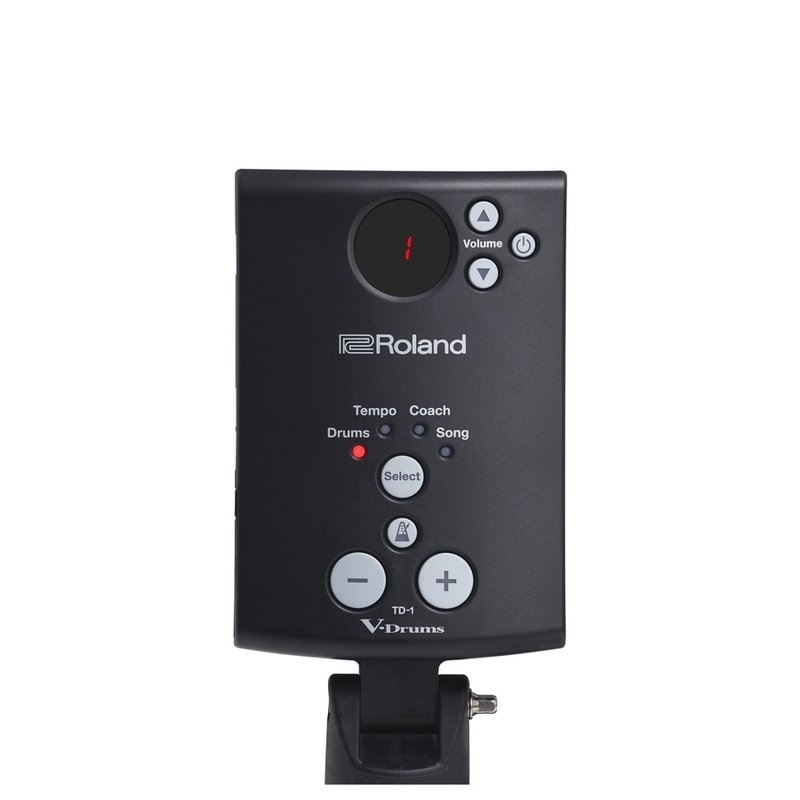 The TD-1DMK offers Roland's class leading feel and playability at a price that wont break the bank. 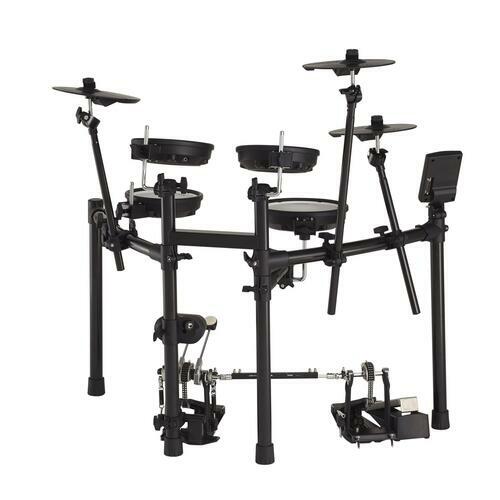 The Roland TD-1DMK is Roland's most affordable drum-kit featuring all mesh heads for incredible responsiveness, on a full-size drum rack which can be customised for players of any level. The TD-1 module is easy to use and packed with great quality drum sounds. The on board coaching features will help you improve your drumming whether you're a beginner or a gigging player. 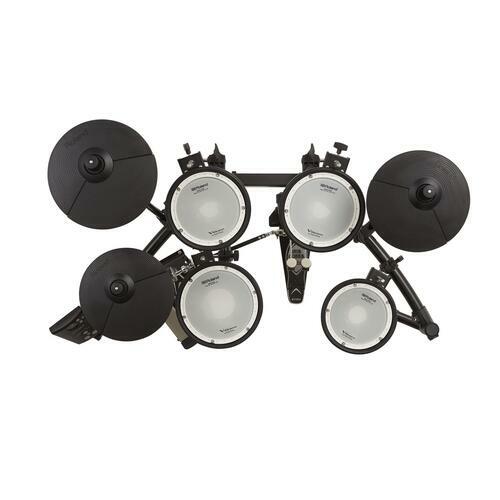 The TD-1 Module is easy to use whilst still being fully featured. 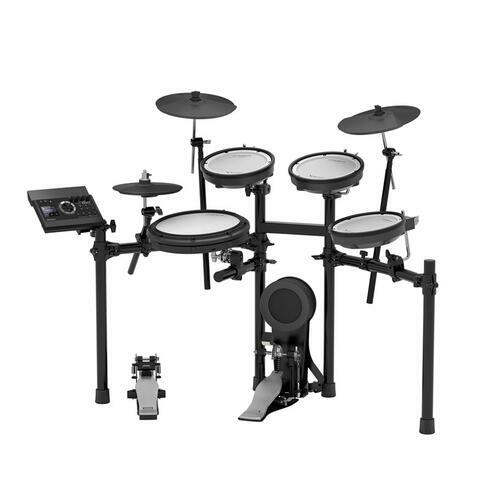 There are 15 onboard drum kits which allow you to choose a great sounding kit for any style of music at the push of a button without scrolling through endless menus and options. The sounds onboard won’t hold you back either, with dual-zone triggering for the snare pad, and closed, half open and fully open sounds available from the hi-hit there is no compromise in playability. 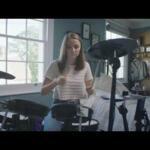 Drums are seriously fun, but played on their own it’s easy to run out of inspiration. 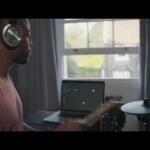 Adding backing tracks or playing along to songs is a great way to improve your feel and playing discipline. 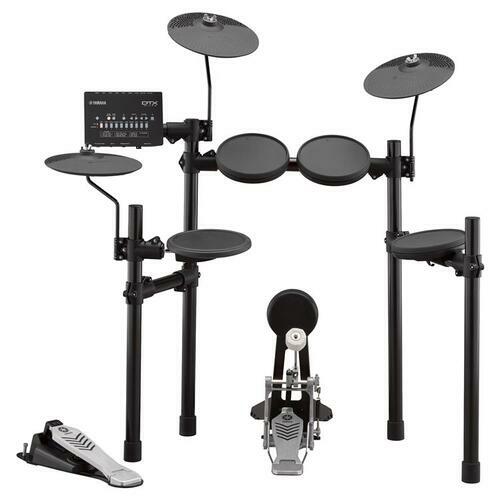 With the TD-1DMK you can play along to the tracks built into the module or connect your own device via mini-jack and play along to your favorite songs, lessons or backing tracks. Not just a great sounding kit, the TD-1DMK is also a useful practice tool. The module has 10 different customisable coaching functions which test your abilities and give you a clear indication of your progress. 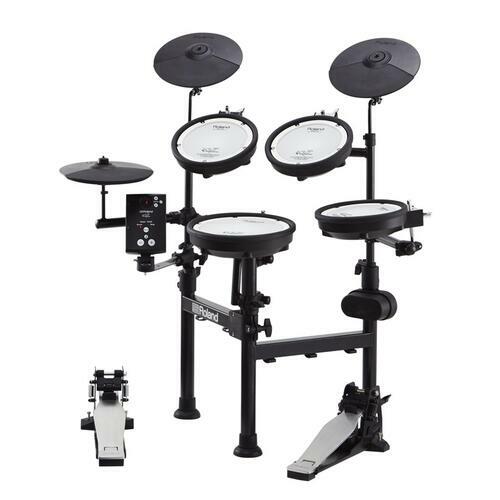 These aren’t just for beginners; pro players can up the difficulty levels and use the TD-1DMK to sharpen up their skills to keep getting better. 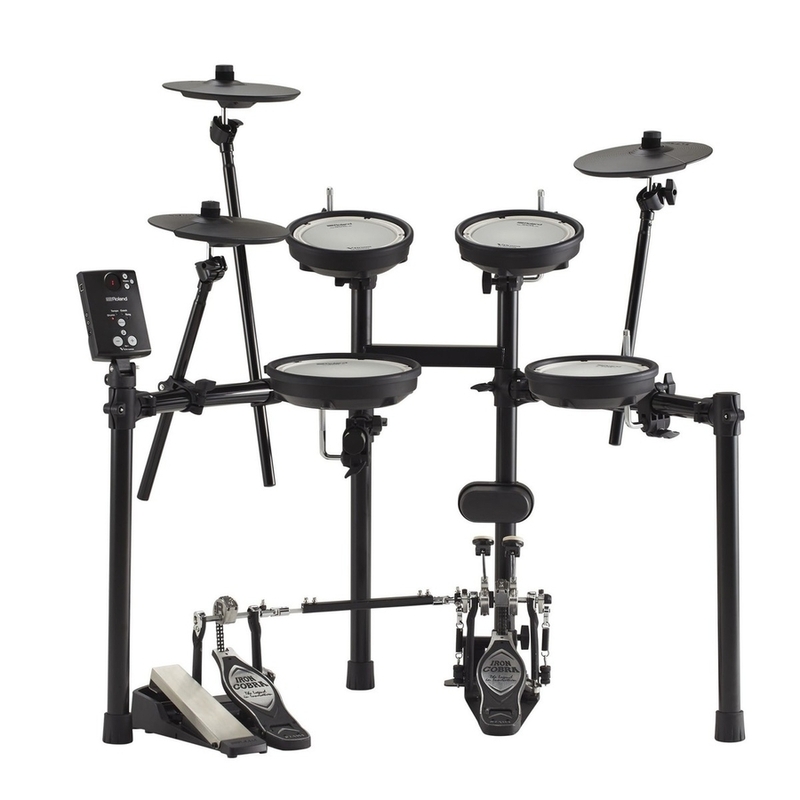 While most entry level kits are quickly outgrown, the TD-1DMK is designed to grow with you. 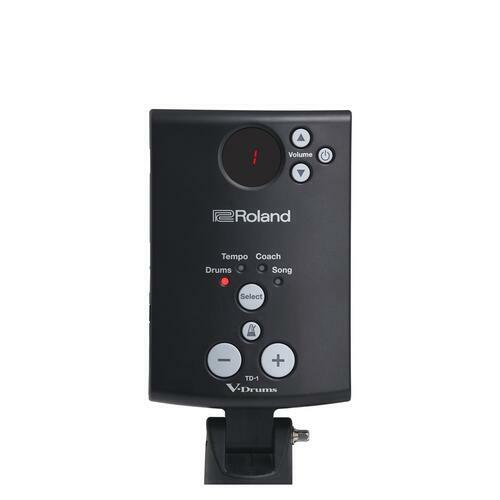 The full size MDS-Compact frame is fully adjustable for players of any height and style, and the pads can easily be upgraded with Roland’s other V-Drum pads, or control pedals. 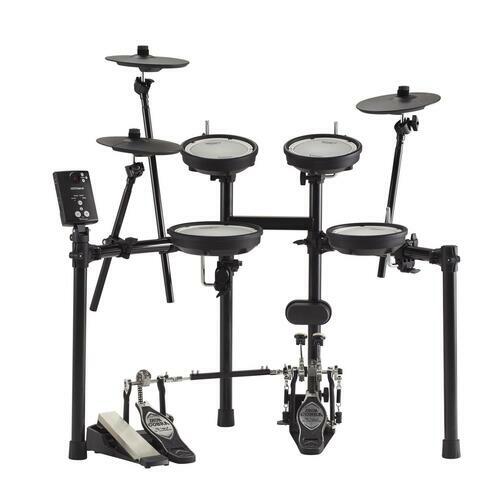 You can even develop double-pedal kick techniques with the TD-1DMK thanks to the built in double bass drum pad. The TD-1DMK can act as an ideal studio kit for home recording or VST triggering, thanks to it’s easy USB MIDI connectivity.